Jews call it the Temple Mount; Muslims refer to it as Haram al-Sharif (“Noble Sanctuary”). Whatever the name, the 35 acres contained within the Old City of Jerusalem is one of the most sacred and contentious pieces of land in the world. Some blame the recent uptick in violence in the region on the escalation of claims to this site. Jews consider it holy because they believe God gathered dust from this site to create Adam. Later it was where both the first and second temples were built. For Sunni Muslims, it is the third most holy site in the world (after Mecca and Medina) and is believed to be the site from which Muhammad ascended into heaven. 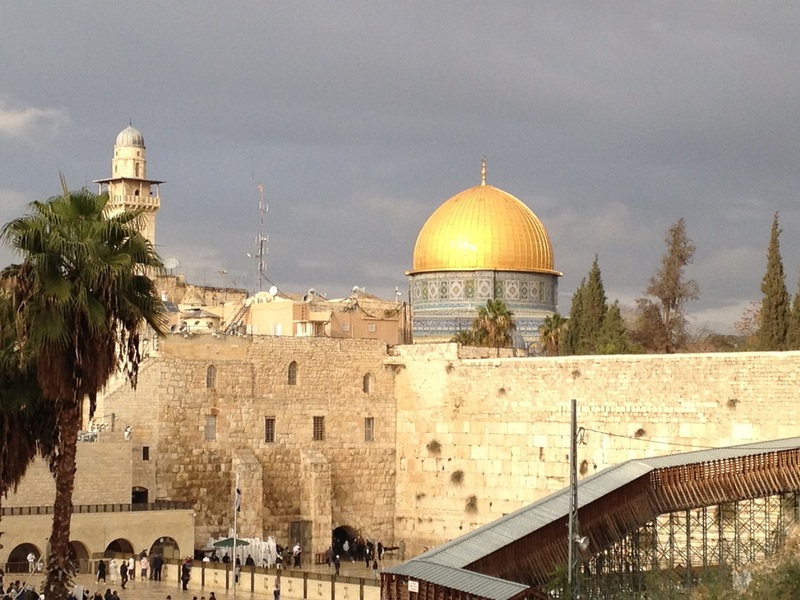 For many centuries, Jews could not come near the Temple Mount or the Western Wall. It was controlled by the Ottoman Empire and then Jordan. 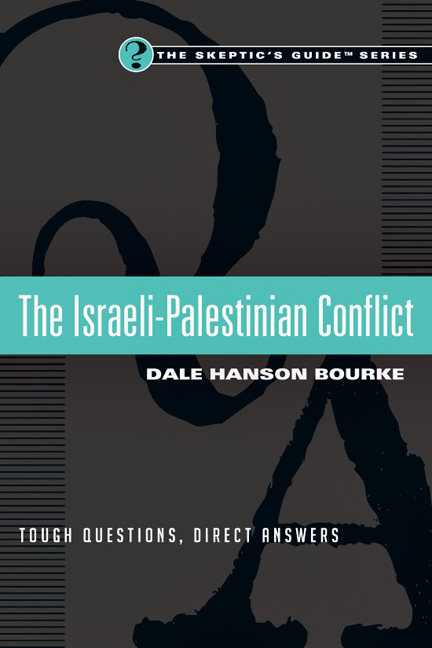 During the 1967 War, Israeli troops advanced past the 1949 Armistice Line and reclaimed the Western Wall and the entire Temple Mount. The decision was made by the government of Israel to keep the Western Wall as a sacred place for Jews to worship but to return the Temple Mount to the control of the Jerusalem Islamic Waqf. In 1994 custodianship was given to Jordan as part of the peace treaty. The Dome of the Rock, considered the most recognizable landmark in Jerusalem, is also one of the oldest examples of Islamic architecture, having been completed in 692. The dome itself is covered in 80 kilos of gold donated by the late King Hussein of Jordan in the 1990s. It is not a mosque but covers the Foundation Stone, which is holy to Jews and Muslims. Some Jews believe it is the site of the Holy of Holies where the Ark of the Covenant was kept. But because the exact location is not known, the Chief Rabbi of Israel has declared that Jews shouldn’t walk on the Temple Mount for fear of stepping on this holiest of all places. 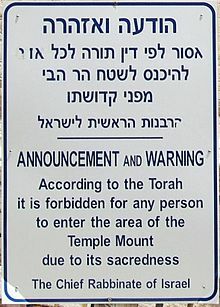 Jews are allowed to enter the Temple Mount during certain hours, but they are not allowed to pray or read scripture there, for fear of inciting violence. The site is also the home of the Al Aqsa Mosque, which sits on the southern end of the site and faces Mecca. Muslims from all over the world make pilgrimages to the site and worship there every Friday. Israel claims that especially on Fridays, rocks are thrown from the vicinity of the mosque at Jewish worshipers at the Western Wall and that is why Israeli police and soldiers sometimes enter the grounds and even the mosque during Friday prayers. But such incursions create enormous tension with the worshipers. Israel also controls access to the site and often restricts young Muslim men from visiting what they consider a holy site. Other issues arise relate to what is sometimes called the Third Temple Movement. This movement of primarily Israeli Jews, but also some Zionist Christians, aims to rid the Temple Mount of all Islamic structures and prepare it for the building of the Third Temple, which they believe is necessary to complete in order for the Messiah to appear. Rumors have been fueled on social media that there is an effort underway to destroy Muslim holy sites, creating even more tension. 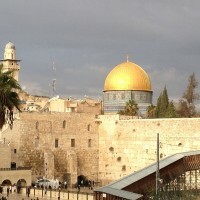 Although this is not the only reason for rising violence and unrest, most experts agree that the increased tension over this holy site is an underlying cause of the recent conflicts. 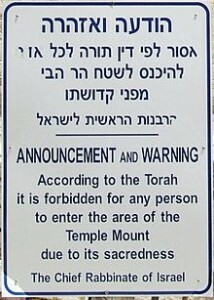 This sign appears near the entrances to the Temple Mount in Jerusalem.